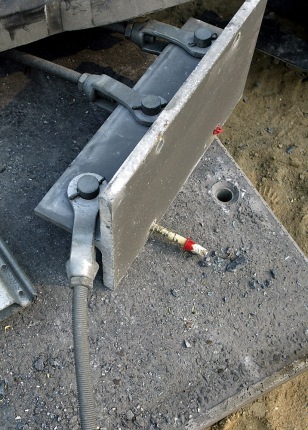 A sheared bolt is seen attached to the panel that once held concrete segments in place on Boston's infamous Big Dig tunnels. The concrete ceiling panels fell after a steel tieback gave way. Falling concrete slabs crushed a car, killing a woman inside one of the tunnels.